New Directions Publishing Corporation, 9780811201049, 144pp. "Zen enriches no one," Thomas Merton provocatively writes in his opening statement to Zen and the Birds of Appetite--one of the last books to be published before his death in 1968. "There is no body to be found. The birds may come and circle for a while... but they soon go elsewhere. When they are gone, the 'nothing, ' the 'no-body' that was there, suddenly appears. That is Zen. It was there all the time but the scavengers missed it, because it was not their kind of prey." This gets at the humor, paradox, and joy that one feels in Merton's discoveries of Zen during the last years of his life, a joy very much present in this collection of essays. Exploring the relationship between Christianity and Zen, especially through his dialogue with the great Zen teacher D.T. Suzuki, the book makes an excellent introduction to a comparative study of these two traditions, as well as giving the reader a strong taste of the mature Merton. Never does one feel him losing his own faith in these pages; rather one feels that faith getting deeply clarified and affirmed. 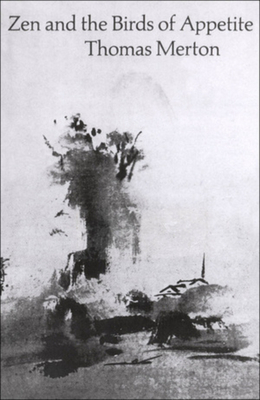 Just as the body of "Zen" cannot be found by the scavengers, so too, Merton suggests, with the eternal truth of Christ.